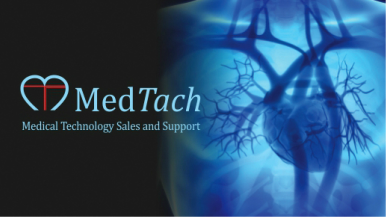 With our Mission Statement as our guide, MedTach delivers medical technologies developed by ethical innovative partners that provide high quality, effective solutions to meet the needs of the EP community and improve outcomes. ​​​Kardia Mobile by AliveCor - Medical grade EKG - Anywhere, Anytime. Put your fingers on the electrodes and see the results. AliveCor's affordable Kardia Mobile records EKGs in just 30 seconds with your Apple or Android smartphone. Know instantly if your rhythm is normal, or if Atrial Fibrillation (AF) is detected. Recorded rhythms can be easily shared via PDF email attachment. A-traumatic design & small diameter allows studies also extended in time without much discomfort to the patient. Performance: for every model of the esophageal lead, a particular electrodes shape and size have been developed to assure a quality and stable signal; the depth markers on the body of the lead allow a rapid positioning. Safety: the body of the catheter has an a-traumatic design; “Touch-proof” connectors (shrouded pins) ensure maximum safety; the packagingn is in double sterile pack. Leverage the latest in sound technology to dramatically improve communication between physicians and the rest of the clinical team with a wireless healthcare communication system. The Finometer PRO is a stand-alone solution for accurate non-invasive beat-to-beat blood pressure monitoring. The Finometer® PRO incorporates the Modelflow® technology providing hemodynamic parameters such as stroke volume, total peripheral resistance and cardiac output as well as pulse rate (variability) and baroreflex sensitivity analysis. The Finometer® MIDI offers an optimal solution for hemodynamic trending in protocols when blood pressure changes are more important than absolute values. The Portapres® is the ambulatory Finapres® technology solution. The Portapres® offers standard ambulatory blood pressure monitoring (ABPM) and displays hemodynamic parameters such as stroke volume and cardiac output. Revolutionary technology that provides medical practitioners and researchers alike with unprecedented capabilities in acquiring highly reproducible & accurate real time arterial pulse wave data and 24-hr Ambulatory Blood Pressure Monitoring [ABPM]. These breakthroughs are achieved both by innovative hardware design and software algorithm of patented EVBP® technology. CASPro® is a simple and yet revolutionary device for the measurement of Central Aortic Systolic Pressure (CASP) in a simple clinic setting. It is empowered by EVBP technology; a FDA listed and patented technology using modified applanation tonometry on the radial artery at the position of the wrist. It is completely non-invasive, painless and easy-to-operate. It is specially designed for medical professional for ease of use in clinical setting environment. The QardioArm blood pressure monitor is clinically validated to give you a medically precise reading anytime, anywhere. The QardioBase smart weight scale helps you reach your goals. BMI, muscle, fat, bone and water composition – QardioBase bodycomposition scale offers more metrics to help you focus on long term goals. Buy it in our 'on-line' store today. Designed to provide a lightweight and comfortable solutions from scatter radiation for the entire eye area without the necessity of side shields for lateral protection. Large variety of frame designs to fit every personality. ﻿We offer a full line of light weight lead and non-leaded aprons. We offer a variety of colors and options to suit your needs. Anatomically correct and offer the best tactile sensitivity over any other glove on the market. Our easy to use tracking, inventory and inspection management solution for all your organization’s personal radiation protection products. Quickly access the information you need about your facilities’ leaded garment inventory, characteristics, inspection history, assigned user or department and inspection due date and status through your organization’s computers, phones and tablets. Carrot C-Suite - Record. Archive. Stream. C-Suite is a comprehensive educational hardware & software package that allows C-View users to stream and record live procedures. C-Suite is also an elegant review package that allows the user to view the data on a PC or MAC using any browser. The new C-Suite Enterprise Module lets you add additional rooms in your institution seamlessly.